Multiple Teams · Nov 8 Ticket and Parking Information for Friday Night Football Week 12! 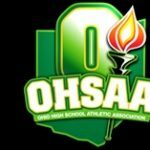 Strongsville HS will host the Division 2 Region 6 Semi Final game between the 8-3 Demons and the 8-3 Bulldogs. The game will kick off at 7:30 PM. Pat Catan Stadium is located at 20025 Lunn Road, Strongsville, OH 44149, Tickets will be available Tuesday afternoon sometime so stay tuned for details. In one of the most improbable comebacks, the 2016 version of the Westlake Demon Football team put themselves in the record books with a come from behind overtime win handing 10-0 Holland Springfield their first loss of the season, 48-41. This is only the second team in school history to win an OHSAA Playoff game. 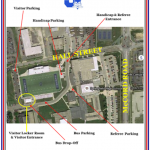 Here is a map of where the parking will be for the OHSAA Playoff game tomorrow night at Holland Springfield HS. The visitors have their own entry gate and parking lot. Remember that parking will be $5. Any student who purchases a presale student ticket will also receive a free Demon Football T Shirt while supplies last. For those students that have season passes, they can present their pass in the athletic office to pick up their free shirt. While supplies last!